Avail our state-of-the-art solutions for brochure distribution in Sydney and experience promotional outcomes beyond expectations! At Advertising Printing Australia, we engage in several brochure drops each month catering to various kinds of industries. We firmly believe that to boost your business, you must not ignore the local consumers who contribute significantly in enhancing your bottom line. Our team of experts help you deliver your brochure to the right people, so that it is not only read, but also acted upon. Advertising Printing Australia takes care to ensure that the brochure reaches the target market. Therefore once we are clear of the promotional needs of the clients, we indulge in extensive brainstorming to come up with the appropriate locality and the right distribution procedure. Accordingly our walkers, managed by supervisors, go for brochure drops in Sydney, yielding suitable outcomes. We take pride in our reliable and transparent distribution model which is unmatchable in the industry so far! Our delivery maps are customized to ensure that the brochures are delivered as per client’s specifications. As specialized brochure distributors, we guarantee high-quality delivery by making the entire process GPS tracked. Your brochures are neither dumped, nor bundled with other competitor materials. Hence, they reach the appropriate place in the appropriate manner. 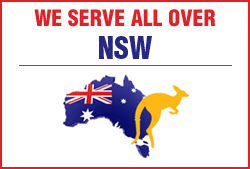 To get the most awesome results with consistent brochure distribution in Sydney, call APA for assistance!